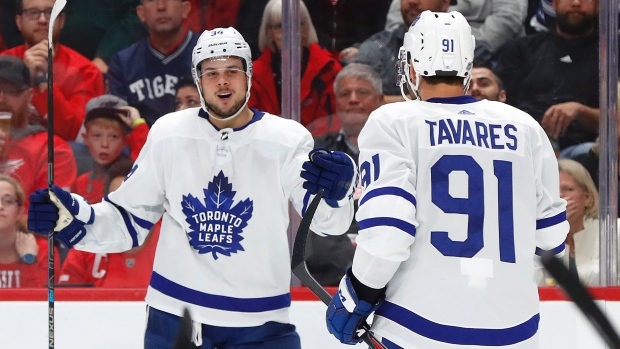 DETROIT — Auston Matthews heard the short list of NHL greats he joined by scoring nine times in the first five games of the season. Morgan Rielly had a goal and an assist, giving him 12 points to surpass Bobby Orr's strong start during the 1973-74 season. Among defencemen, Rielly trails only Harry Cameron, who had 15 points in the Toronto Arenas' first five games of the 1917-18 season. "Bits and pieces of the game we did some of the good things, but it wasn't enough done right," Detroit defenceman Niklas Kronwall said.